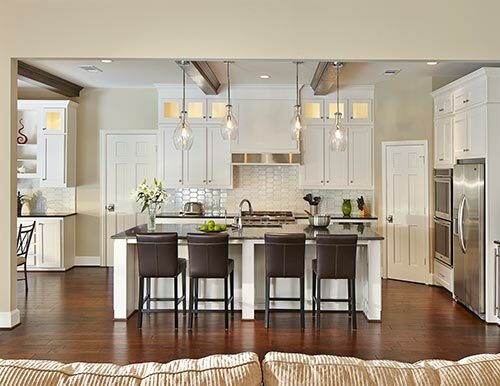 USI is a leading residential remodeling company with award winning in-house design. 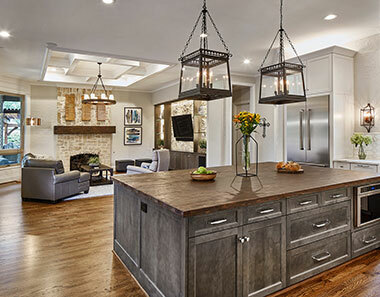 Our mission is simple: Redesign and Remodel homes with timeless looks geared to today’s lifestyles. Kitchens should be functional and cultivate admiration. Correcting flawed footprints, wall manipulation and designing striking focals are just some of the services typically undertaken as our spaces become what we envisioned and more useful. We craft plans to your wants and needs at the forefront. 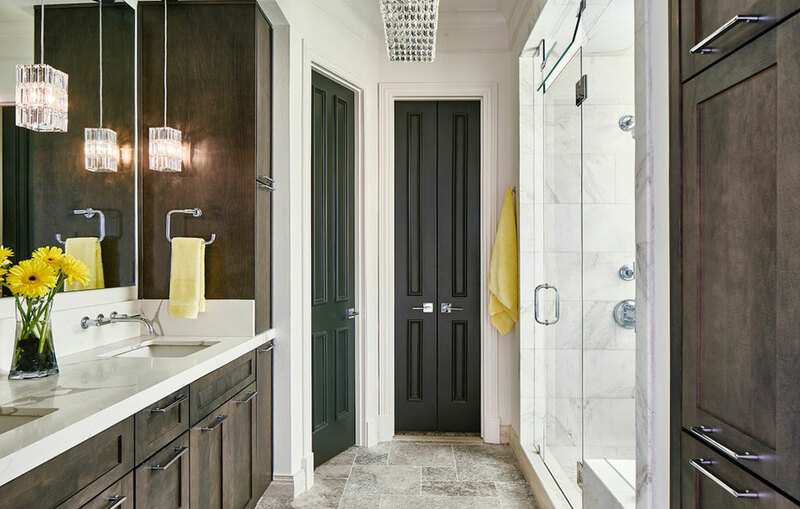 As experts we get the most out of any size bathroom space by bringing the right plans to life. Our team will help navigate layouts and the selection of materials paramount to fulfilling your needs and style. Multi-room renovations are the domain of specialist’s who can work within existing footprints and construct a new lifestyle. We are deeply influenced by our client’s desires and work to transform perspectives and create completely new relationships with rooms. Discuss the project scope, client vision, unique additions or lifestyle needs, and desired design style. Statistical costs of projects and preliminary budget recommendation presented. Pre-construction design agreement outlined and given to client for review. Architectural and floor plan review. Detail any additions, relocations, new product or space changes. Inspect the electrical panel and plumbing. Walk the job with any specialty trades. Measure for the production of CAD drawings. Outline a design style for future meeting development. Review floor plan layouts and CAD elevations at supplier showroom. Our team will detail product options for review at the showrooms and provide a tour of all products. As products are selected they will be checked for availability and placed on hold. On approval of all plans and selections proposals will be drawn. Fixed-price proposal presented for clients review. Logistics for trash, egress, work hours and home security discussed. Project delivered on mutual completion and final payment collected. We’ve honed a process and constructed a team to deliver home renovations with exceptional quality, personality and style. Reach New Heights! Everyone Loves The Notion Of Remodeling, Maybe These Families Have Your Answer. We met with our real estate agent to determine current value of our home after the remodel. He was extremely impressed with your work and felt that we could achieve $220 a sq. foot and we paid $139 (great news). Thanks for all your help and excellent service. From the beginning design phase throughout the construction process and to completing and adding the last minute details, USI exceeded our expectations. We highly recommend USI for any project, big or small . Everyone that has seen our bathrooms loves them! We continually show off your great work at our house and pass it on to our friends if they are looking for a great company to work with. The key differences between USI Remodeling and the other contractors…were their availability/responsiveness to our inquiries and a genuine willingness to incorporate our ideas into the construction/design plan. I was so impressed with USI Remodeling that I hired them to do a custom fireplace surround for me…It is too bad my house is done or I would hire them to do something else! Chris did an excellent job managing all aspects of the design and build of our master bath and closet remodel. Chris was able to turn our dreams into reality and our bathroom is now a beautiful and functional space. Thank you and Chris and all the folks at USI for your professionalism, integrity and courtesy. Great Work! Chris and his crew were exceptional. He walks you thought the whole process from beginning to end. Their awards are well deserved, because they truly are one of the best in the area. Both of our bathrooms came out even better than I expected. I would recommend USI Remodeling for all of your remodeling needs. Thanks! 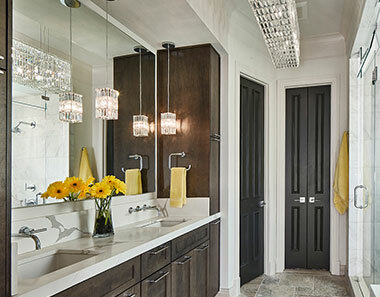 AMAZING Bathroom remodel! 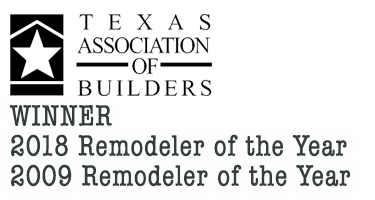 What can I say….this was THE best remodeling experience I have ever had. Everyone was VERY professional, stayed on time and what an amazing transformation of my bathroom. We are so happy with the results and HIGHLY recommend USI. Thanks! We like that you walk your clients through the process and let them know what to expect from us. We also see the great effort you go through to communicate with your clients about what works to meet their needs on a functional, aesthetic, and economic perspective…Your projects always turn out great. It’s fantastic to see how our decorative plumbing and hardware products fit in with your clients’ kitchens and bathrooms. USI Remodeling has been an outstanding remodeling contractor to work with. I have had nothing but outstanding remarks from their clients. I have seen time and time again how they work very hands on with customers to take them step by step throughout the remodeling process. Gordon or Chris are always with a client as I walk them through appliance selection for a kitchen remodel. Typically a contractor will just send a client in to select their appliances. USI always guide their customers through each and every step, helping them find the best selection at the best value for their home. Having appliance installation problems in my business is common. Not with USI, they are extremely meticulous in ensuring that from selection, ordering, delivery and installation each step is planned and executed flawlessly. Working with USI has always been a pleasure for me. What does impress me the most though is talking to their customers after completion of the project. Their clients feel that Gordon and Chris have helped them with a major project in their lives. They immerse themselves in the project for the customer, who is now a friend and not just a client. you really get the sense of family with this company. I am proud to work with them always. We are grateful to have the relationship that we do with Chris Chumbley of USI Remodeling. His professionalism and Chris’ ability to see the entire project makes our job much easier. 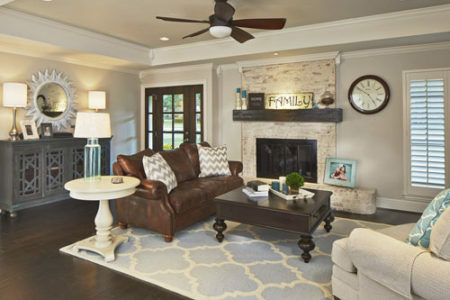 The selection process can be tedious and difficult for homeowners to visualize the “big picture” but Chris’s creativity and understanding about how to design a space and manage a project makes him dependable from the beginning to the end. Chris’s relationship with Arizona Tile is nothing short of respectful and courteous. Chris is able to make appointments with our showroom staff as well as use our conference room when needed. Chris gives his customers, what I call, “The Experience.” This means he knows how to explain, draw, customize, listen, and deliver the finished idea to his clients. From the drawing table in our showroom to his “hands on” approach on the jobsite, it is no wonder why USI has maintained a flourishing company in an economy that was less than desirable. The attention to detail, his personality and the steps taken to make sure things are done right the first time, make Chris unique and better than most. There is no question that Chris knows what he is doing and how to do it. I have never seen a customer disappointed under his care. It is an honor to be apart of the selection process for USI Remodeling. We appreciate his business, and we are thankful that we have established such an understanding of what we both can offer. Chris is not considered a stranger here, and he is welcome anytime. We are definitely looking forward to the future. His attitude, his passion for the overall project and his vision make him one of the best. Quality Excellent Just call USI Design and Remodeling now! 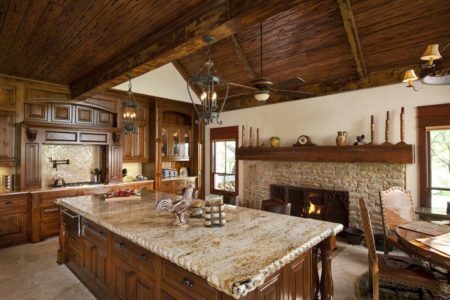 Preparing for my major kitchen remodel was no easy or comfortable task for me until I met Chris Chumbley. USI’s numerous awards and project pictures caught my eye, but their exceptional reviews from every source made me pick up the phone and call. Now it is my turn to shout praises for USI Design and Remodeling.Chris treated me as if I were his only client and not just another sale. He took the time to find out my needs and expectations and together we transformed a used, worn kitchen to a level I could not even imagine. He also encouraged me to consider other options within my budget that I never would have thought of and delivered more than a dream. You hear all the horror stories of demo and reconstruction, but through the dust it really was fun and I cannot stop smiling. Chris, Gordon and each of their crew and sub-contractors were nothing but the best. They were highly skilled, respectful and courteous.My remodeled kitchen is unbelievable and I cannot wait to call Chris again for my bathrooms and other updates! He and Gordon Zoellner are truly my partners and there is no question that I highly recommend USI Design and Remodeling. They put the customer first, communicate, follow through and deliver! I want to tell you how thankful we are that you were part of every step throughout our project. Your planning, attention to details, calm personality and keen eye for good design are so appreciated. Thank you for all you have done to make a hideous bath into a beautiful bath suite. After extensive research I decided on USI for my remodel project on my house. This extensive remodel job started on time as advertised and completed on the exact date discussed during the estimate process. The original estimated price is exactly what the job cost. There were no hidden surprises. This project took 10 weeks to finish. We were able to live in the house while the work was done. Each day throughout the entire period the crews showed up at 7:30am without fail. The construction site remained very clean and livable throughout the work that was done. The neighbors commented on how clean the area was kept during the project and to the daily progress that was achieved. Every crew that showed up to the house was very respectful of the house and the job they were performing. USI was always there managing the activities and I never felt insecure about having 8 to 10 people a day for the entire period working around the house with my property still onsite. The work to gut the house and rebuild it was flawless. The quality of the work completed was amazing. When someone walks in the front door of the house it is amazing how the just stop and say Oh My Gosh this is fabulous. I would highly recommend this company to remodel any part of or the entire house. It is true you get what you pay for and USI delivers an outstanding product. I can not say enough great things about USI and the finished product. My wife and I wanted to remodel two of our bathrooms at the same time (our Master bath and a guest bathroom). This was the first major work we’ve had done on our house and were incredibly nervous after hearing contractor horror stories from friends and family. After reviewing bids from multiple contractors, my wife and I decided to go with USI Remodeling. Chris and Gordon were outstanding to work with. They did everything they said they were going to do – on time and on budget. They were professional, brought issues to our attention immediately and provided outstanding recommendations on design, etc. 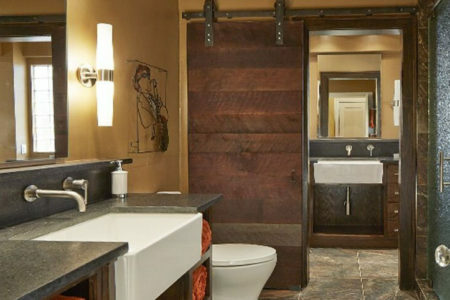 Both bathrooms are gorgeous and we can’t wait to use USI Remodeling again when we’re ready to remodel our kitchen. Chris and Gordon are an incredible team who provided a final product up and beyond our expectations. They just completed a renovation of our master bathroom, and kitchen, and we couldn’t be happier. From our first meeting, it was clear they have an eye for how to transform spaces and are committed to creating a high quality end product. We ended up choosing USI Design & Remodeling for their superior vision for how we could truly transform our spaces. Throughout the design and construction process, I was impressed at the level of attention to detail both Chris and Gordon gave to the project. They were on sight every day checking on details and adjusting the design plans as the space evolved. I was equally impressed with their crew and subcontractors. Everyone was courteous, considerate of how the construction was impacting us, and they constantly kept cleaning the space. Not only did we end up with an incredible end product, but the project was completed ahead of schedule. We could not be happier! Chris & Gordon are an incredible team who provided a final product beyond our expectations. They just completed a renovation of our master bathroom, and kitchen, and we couldn’t be happier. From our first meeting, it was clear they have an eye for how to transform spaces and are committed to creating a high quality end product. We choose USI Design & Remodeling for their superior vision for how we could truly transform our spaces. Throughout the design and construction process, I was impressed at the level of attention to detail both Chris and Gordon gave to the project. Not only did we end up with an incredible end product, but the project was completed ahead of schedule. We could not be happier! I’ve worked with USI for nearly 20 years and have always been impressed with every aspect of their company. Both Chris & Gordon are very professional and each have a keen sense of quality and customer service. 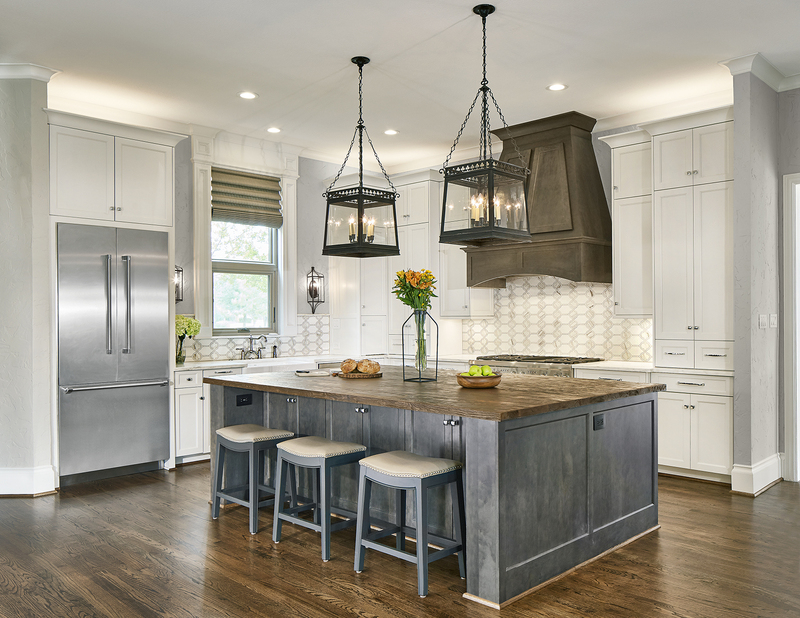 Their combined talents will always land you a class A design no matter where the remodeling is. Gordon can solve any design challenge to fit your needs. I would never use any other company!